I believe this demo disc was available at the 2003 Tokyo Game Show. I thought it would be worthwile to document it, since there are quite a few interesting differences from the final game on this disc. 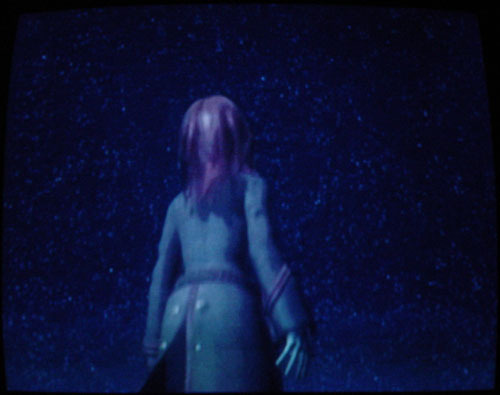 Also, I apologize for the poor image quality, as I don't have any way to capture screenshots on my computer, so I had to do with a digital camera. WARNING: this document contains general spoilers for SH:C.
Opening movie plays when you start up the game. Looks the same as the one in the final game. Main menu has 2 options: Start game and view movie. Three options: Karin CM, Demon CM, and the long trailer. 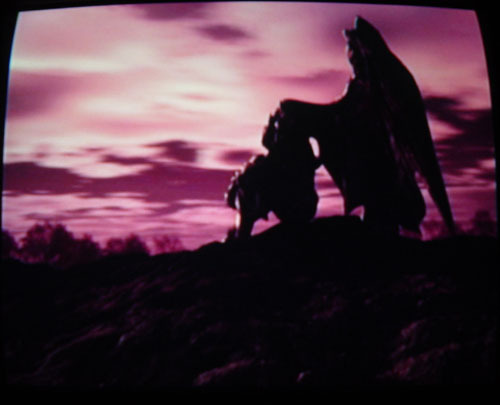 The commercials just use some of the same clips/narration from the long trailer, so I'll just describe that one. This trailer way never widely avalible on the internet, I believe maskrider was the only one to capture it. The most interesting thing about this trailer is that are many FMV clips that were never shown in the final version of the game. I've bolded them in the transcript below, with links to all of the decent screenshots I could get. Also interesting to note is that the voices are done completely in English! 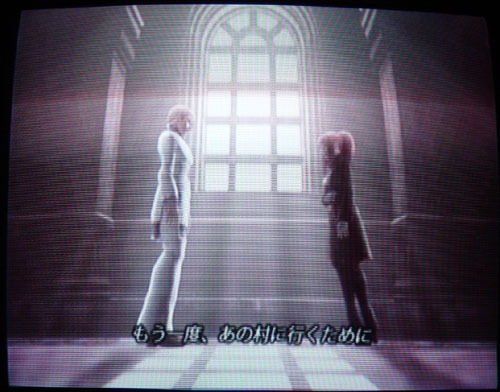 (w/ Japanese subtitles) Even Nicholai and Karin's voices (brief as they may be). But the voices are different than the English dub by Midway (and I believe this was way before Midway got the rights to SHII). Who knows why this was done - probably just to make it "sound cool". 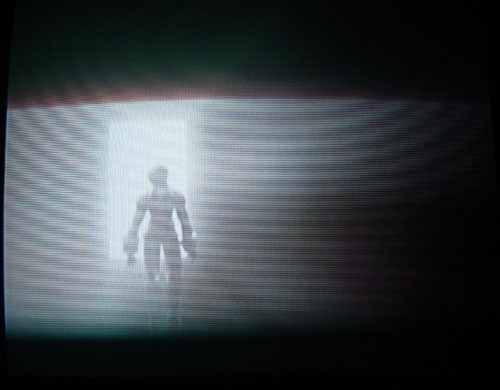 Lastly, the gameplay portions appear to be from a very early build of the game: player-controlled Nicholai and Karin-in-uniform walking around many places they shouldn't be (Paris, Manmariana Island, Rhondda Mine, etc. 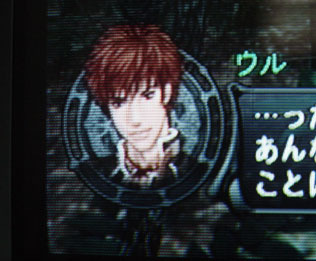 ), Nicholai and Karin-in-uniform fighting enemies & bosses from later in disc 1, and no sign of Yuri. And in one of the battles - Nicholai fuses into Yuri's Orexis fusion! 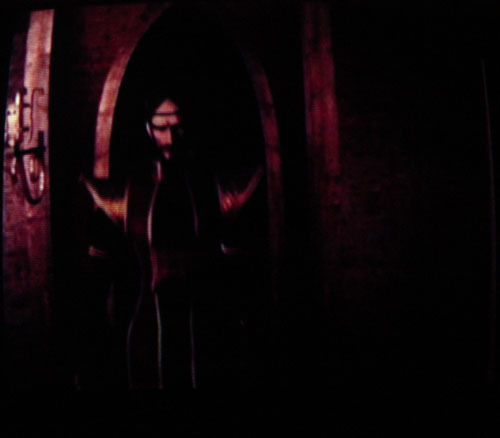 The devil, in a church...? I need you. Please lend me your strength. So I can return to that village once more. The strongest demon opposing god. To fight, is it our will or merely our fate? The man who would conquer the world...? The man who would save the future...? Status menu is structured different. More of the usual options are available though each character's personal menu instead. Minor graphical changes to some menus. Slight graphical differences in the battle display & victory screens (slightly different font, mostly). No experience gained from battles in the demo. You do get cash in some areas though. But that's pretty standard for a demo disc. No save points... but again, standard for a demo disc. 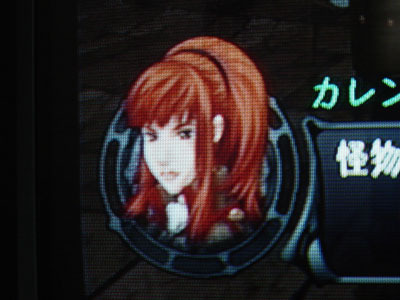 Karin-in-uniform's dialog portrait is different. 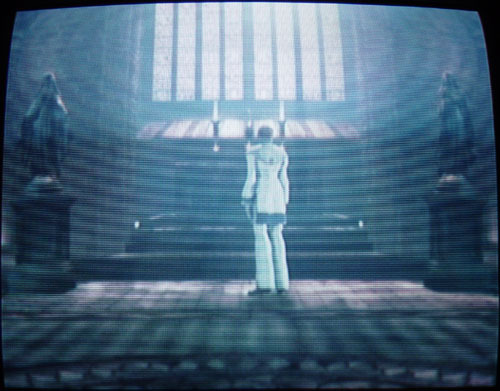 When you open the door to the tower boss, the game cuts to a message screen that says "Thank you for playing, please look forward to the game's release" etc. (also show a sketch of Gepetto & Cornelia) You're then sent back to the main map menu. Pretty much everything else is the same as the final game in this section. Starts with Yuri, Gepetto and Blanca walking out from near the cave. Apparently they are traveling though this forest on their way to Liverpool? Yuri's dialog portrait is different. Walking a bit forward they hear a woman's voice. 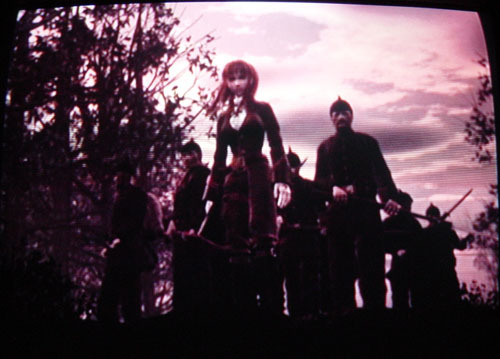 Sarah appears in front of them and gives them Solomon's Key (but she is unnamed and without a portrait). Yuri & co. have to find all the crests in the forest before they can leave. She will wait the exit of the forest for them. Yuri can only use his second Darkness fusion in this section. Walking to the first intersection, Yuri finds Gerard is waiting there! Yuri is surprised (of course), but he seems to have met Gerard before. He sells the most basic items. There is only one path through the forest: using the elevator to go down the cliff. The bridge is nowhere to be seen. After you complete the Flame Desert section of Solomon's Key, Sarah will let you through to the exit of the forest. There Arachne is waiting for your (apparently, in the demo he is the lord of the forest). After you defeat him, Sarah will appear to congratulate them, and she reveals she is a servant of King Solomon. 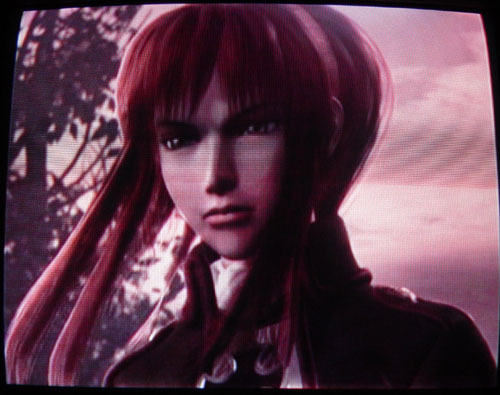 (But she still doesn't say her name...) You then get the same "Thanks for playing" screen and the game goes back to the main map menu. Yuri, Gepetto, Karin and Joachim arrive in Champs Elysees. Gepetto hasn't been in Paris for a while, so he wants to get a new dress for Cornelia. Karin's dialog portrait is different. There's a treasure chest in the lobby of the hotel (I think a few other item locations may be different too). Walking halfway down the street, a conversation with the Magimel brothers automatically begins. Emergency! Cornelia's new dress has been stolen! You have to take the subway to the Paris streets and get a tissue from the lottery guy, then give the tissue to the sneezing guy back in Champs Elysees. Then you can enter the subway tunnel. Ernest is nowhere to be seen. Yuri can only use his second earth fusion in this section. The subway dungeon is much shorter and straightforward. No need to move broken subway car. Where you find Veronica in the final game, here you find a couple of thugs with the dress. After you beat the thugs, you get the Angel of Light dress, but then Pollux pops out of nowhere and you must fight him. 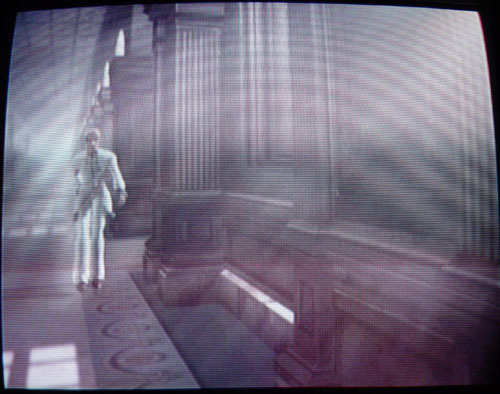 After you beat Pollux, the dress is returned and you get the usual thank you screen that boots you back to the map. 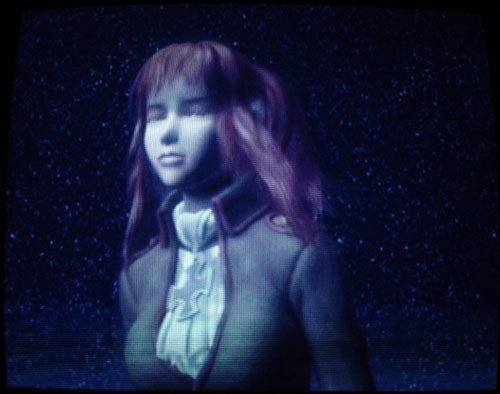 Starts out with a message saying Karin has been captured by Veronica, and Yuri & co. go off to save her. After freeing Karin and going to the previous room, you have to fight Janus. After that, the section ends with the usual screen. 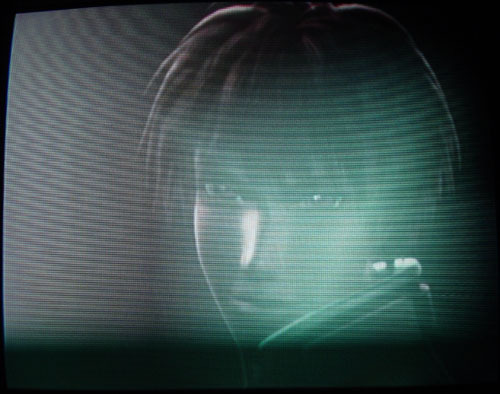 While the differences in the playable demo were probably made specifically for the demo, the differences in the trailer definitely look like they had some different things intended for the story.